Where were you two days ago at 2 pm? When was the last time you ate rice? Let’s try something recent – where are your house keys right now? If you have answered, “I don’t know” to at least two of these questions, it is time to improve your memory with these memory improvement apps for Android. 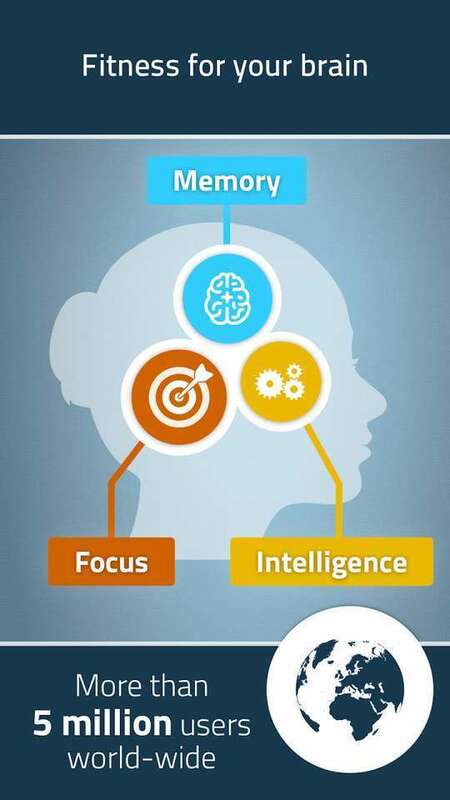 Memory Trainer works out your brain in various fields such as working memory, spatial and concentration. It also uses a process called “Chunking” that makes you remember a bulk of numbers in a few seconds. For example, you will only have a few seconds to remember a person’s first name, last name and a group of numbers. This is an excellent exercise for those times when you see an ad on TV, and you need to quickly remember the info. Don´t worry if you forget the numbers; the app gives you the option to go back for another quick look. 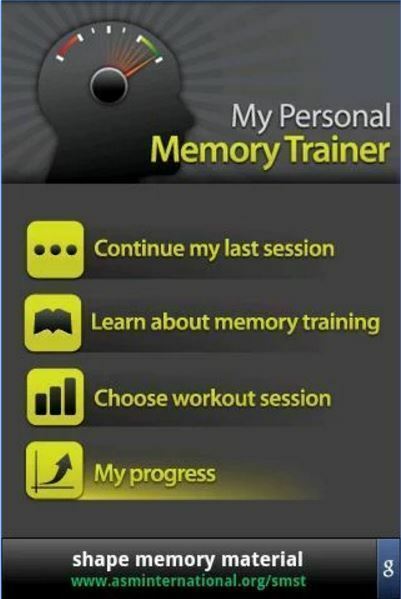 Memory Trainer offers twenty sessions of memory boot camp with different difficulty levels. The app will recommend that you try one every day to keep your mind sharp. You will also enjoy other exercises such as remembering what was listed on a To-Do list, TileFlip, To-DoKu, How N-Back and more. 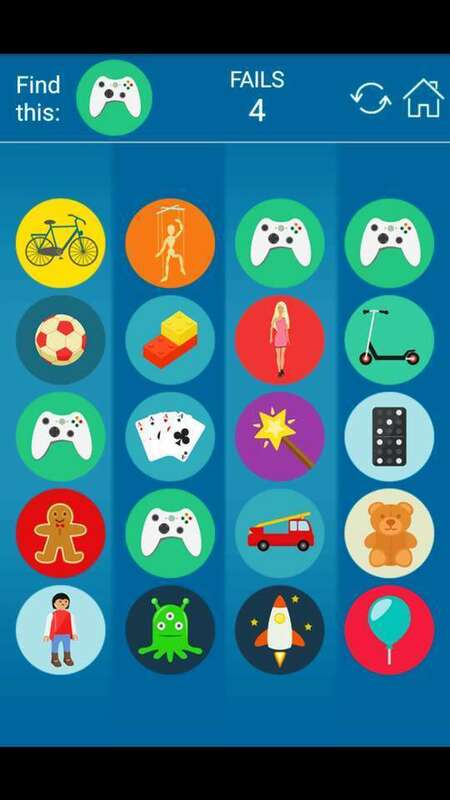 Don’t worry if you have never played the games; the app tells you how to play them before each exercise. After using the app for a while, it will give you statistics on your improvement. The app doesn’t have that many ads and is compatible with Android 1.5 and up. The How to Improve Memory app is more of a reading app. The app offers various easy-to-use chapters with activities you can try every day. Chapter One of the app tells you how memory is gained through Acquisitions, Consolidations of Memories, and Retrieval. Chapter Three gives us examples of word games we can use to try and remember things. For example, it mentions how musicians use the phrase “Every good boy does fine” in order to remember the lines of the treble staff. Thanks to tips like this, remembering the notes E, G, B, D is made easier. I couldn’t leave the great Luminosity app out. 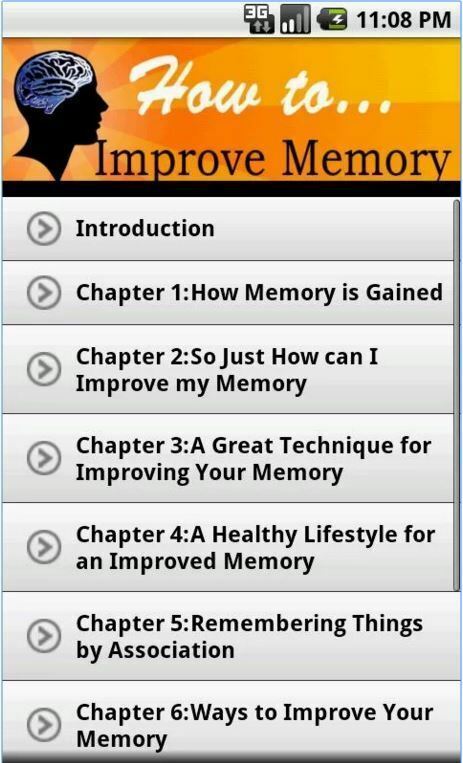 With this app you will not only improve your memory but other parts of your mind as well. You will train your memory with games such as Memory Matrix, Memory Match, Memory Match Overdrive, Pinball Recall and Tidal Tressures. To train your attention span you can play games such as Train of Thought, Lost in Migration, Playing Koi, Star Search and Trouble Brewing. The app also provides the same amount of games to train your flexibility, speed and problem-solving. The app allows you to finish five training sessions free of charge, but if you want to unlock more games you will need to purchase the app. You can either pay $9.99 for a year, $6.99 for six months or $4.99 for three months. Next up we have NeuroNation – Brain Training. This app has a 4.5 rating on Google Play, so it is safe to say that the majority of its users are happy with it. With this app, you get twenty-three exercises to improve your memory, concentration, and intelligence. You can play games such as Trail Tracker where you will have to follow the path and tap on the destination. Just imagine that you are moving the orange circle in the direction desired, and tap where you think it will end up. Path Finder Reverse is another game you can play; here you need to memorize the route in the reverse order of the connections. NeuroNation gives you the opportunity to create your training plan so you can train at your pace. Do you need more convincing this app works? The app´s exercises were designed with the help of recognized neurologists. More levels are added to the app periodically, and you can also challenge a friend with the one-on-one multiplayer game. Memory Game also lets you choose the difficulty level of your exercise; you can choose between an easy 3 x 4 puzzle game and an intense 7 x 8 game for tablets. The app also offers ten different sets of full-color cards with themes such as Clothes, Fun with Flags, City Life, Lunch Time, Let´s Party, Lovely Nature, Travels, Vacations and Nice People. 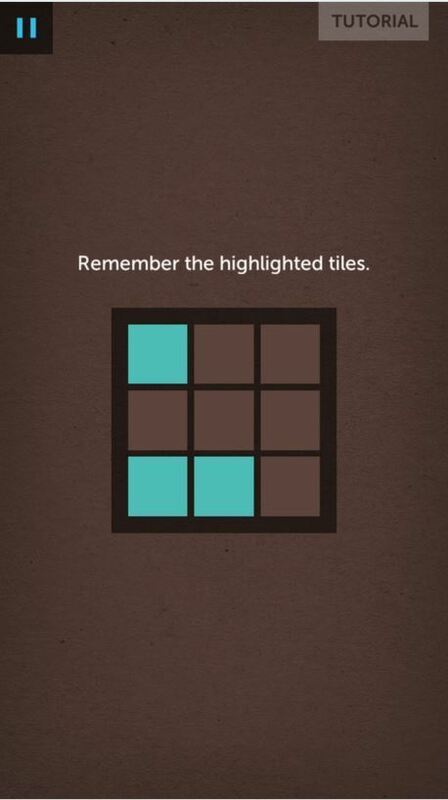 You also don´t have to worry about forgetting to save your game since the app saves it for you automatically. I think this is a great feature considering that what we are trying to improve is our memory. These memory improvement apps will help when you find yourself forgetting what you had for lunch yesterday. They also help you with other essential everyday skills such as multi-tasking and concentration. Remember that the brain is like a muscle, and it needs ¨to go the gym” to stay sharp and quick. So, do you remember where you put your keys? I used NeuroNation for a few weeks, but ended up uninstalling it just last week from my Galaxy S5 as it kept freezing. Luminosity is great, and there is a paid version for it as well. You can download Neuro Nation on any Android device for free without having to depend on the help of any other app. Please let me know if there is anything else I can help you with. =-) Thanks for commenting.